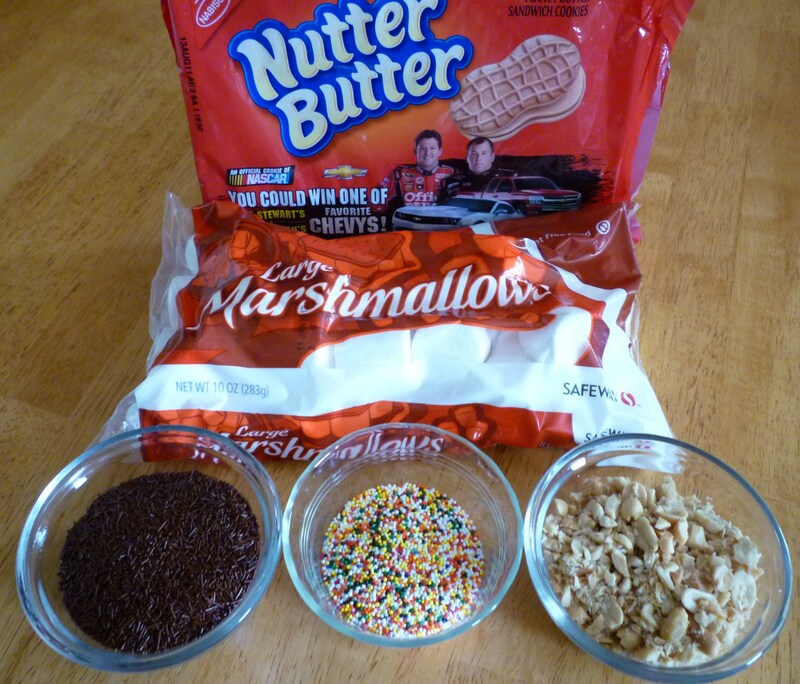 Nutter Butter cookies, marshmallows, chocolate, sprinkles and chopped peanuts … some of my hubby’s (The Peanut Butter Addict) favorite foods. I think his eyes were twinkling when he saw these treats. What should they be called? I couldn’t come up with a name … just a description. Oh, I did decide they are pops because the Nutter Butter cookie is the stick … an edible stick … or should it be called a handle? 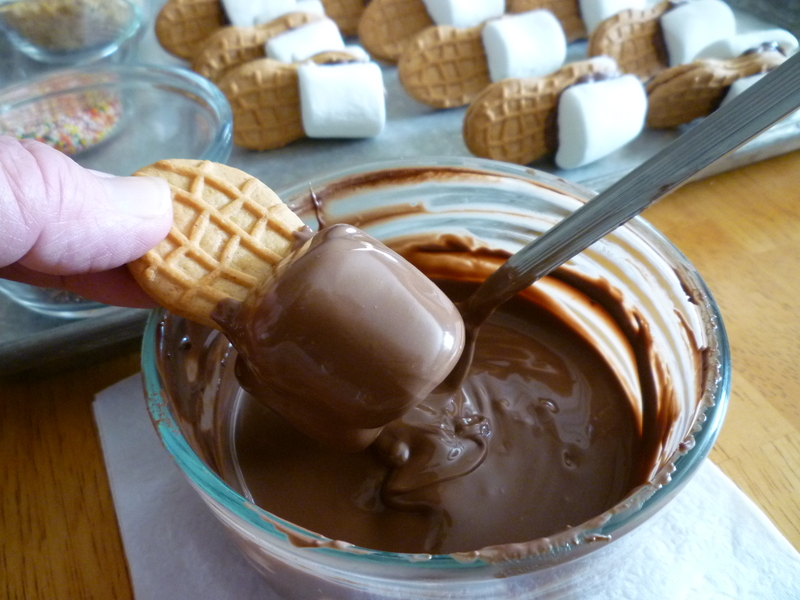 The whole creation came about because I have come across so many recipes for cookies and brownies stuffed with Nutter Butters or Oreos. 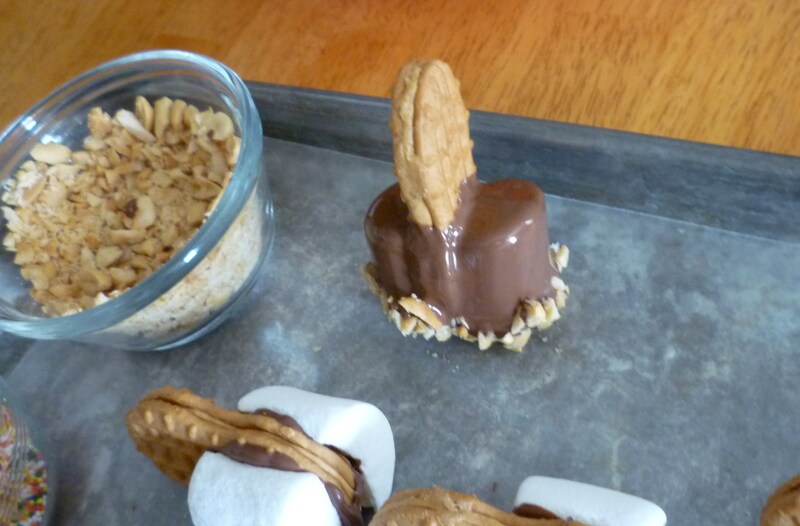 I decided to stuff Nutter Butters in marshmallows … easier said than done. 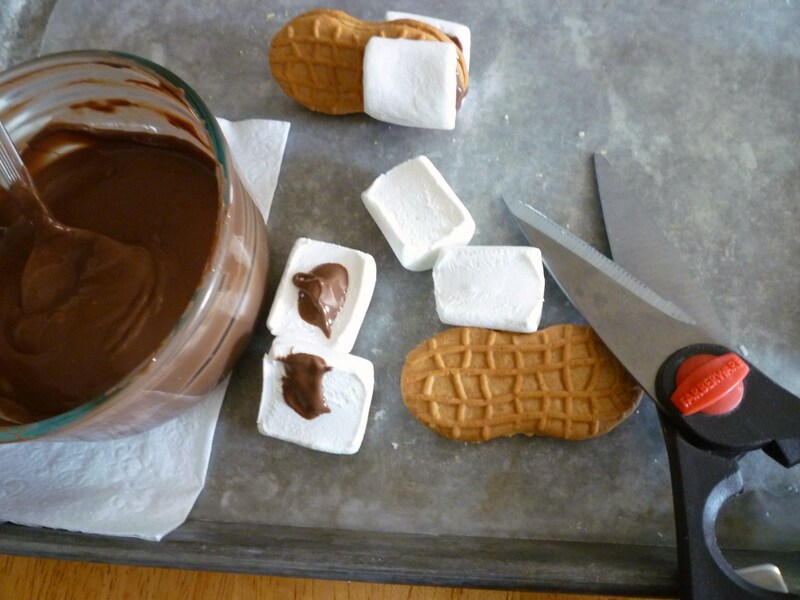 I broke several Nutter Butters trying to stuff marshmallows … and finally decided a different approach was necessary. 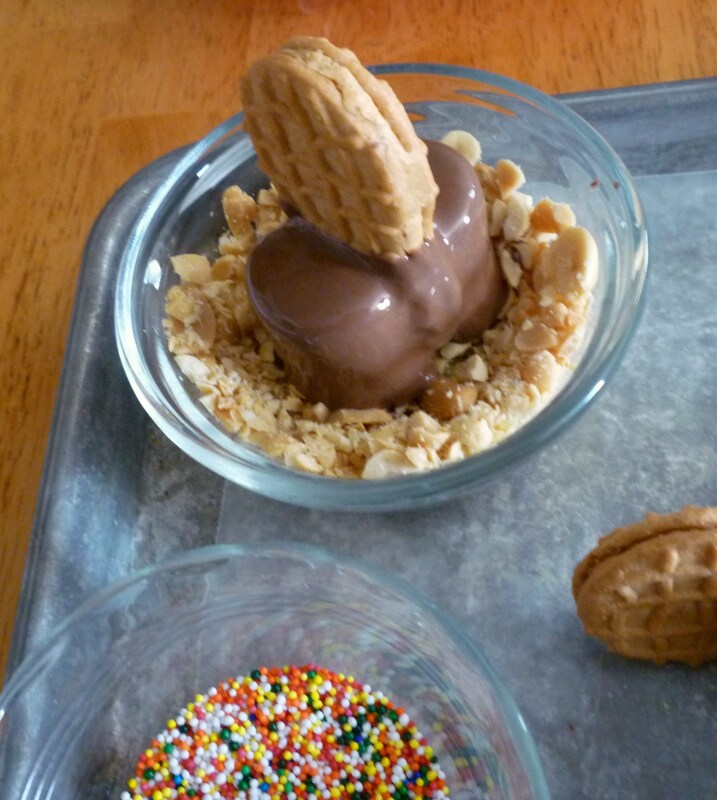 I know that this is not a great culinary creation … just a fun little no-bake treat! 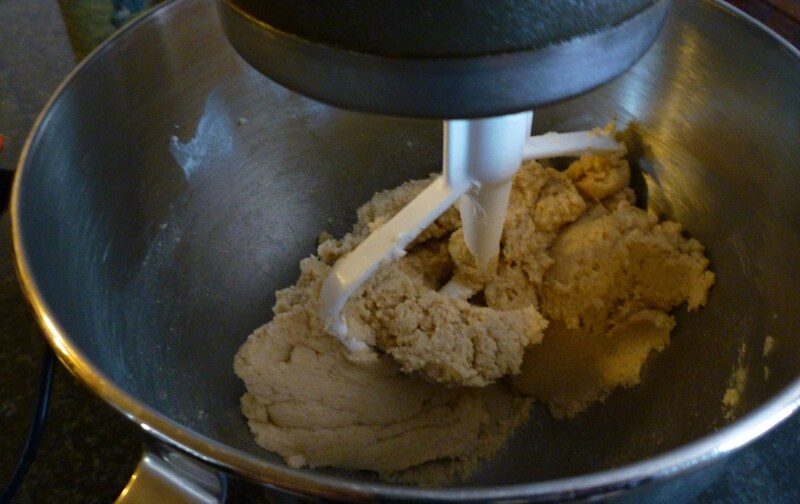 It is no secret that peanut butter is a favorite in my home … after all, I married The Peanut Butter Addict … he is also a cookie monster, but not blue and furry … and we have three cookie monster sons. 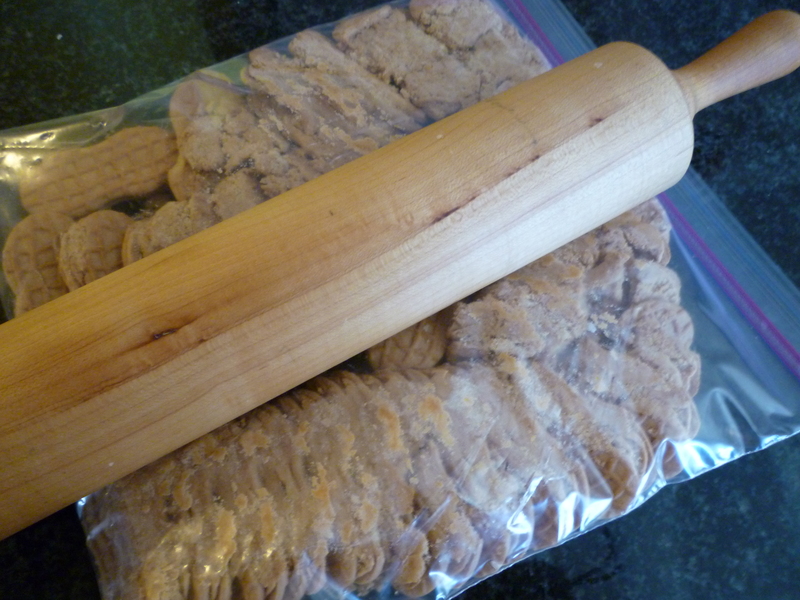 I have baked a lot of cookies over the years … and I mean a lot! 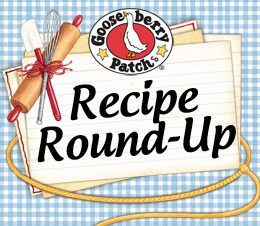 This recipe is one that I grew up with … my mom used it when I was a little girl (about 100 years ago). These cookies are one of my family’s favorites. 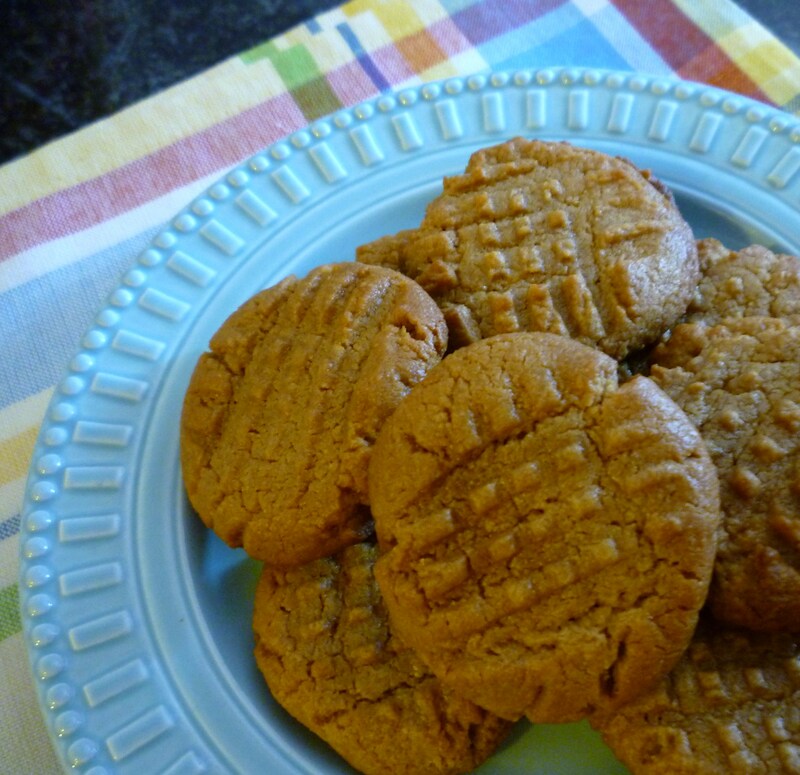 They are just plain old-fashioned peanut butter cookies … nothing fancy. 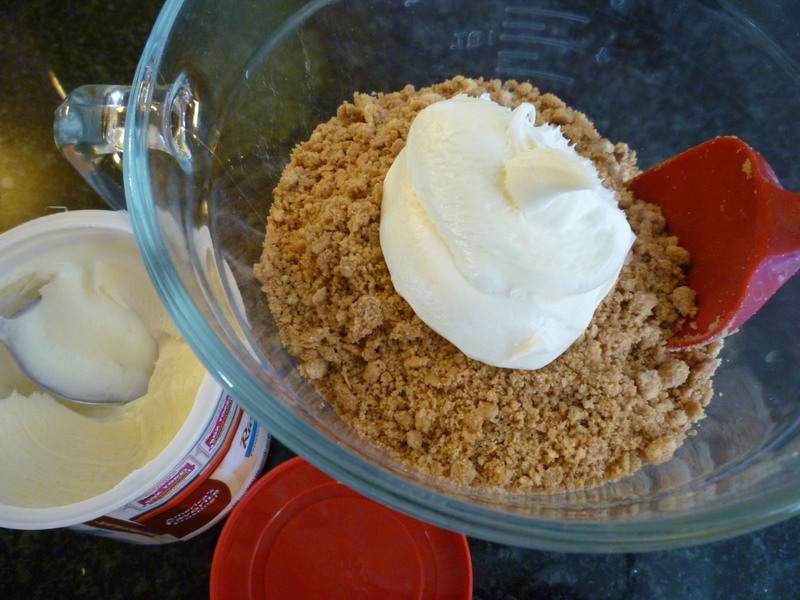 I have tried other recipes … and always come back to this one. 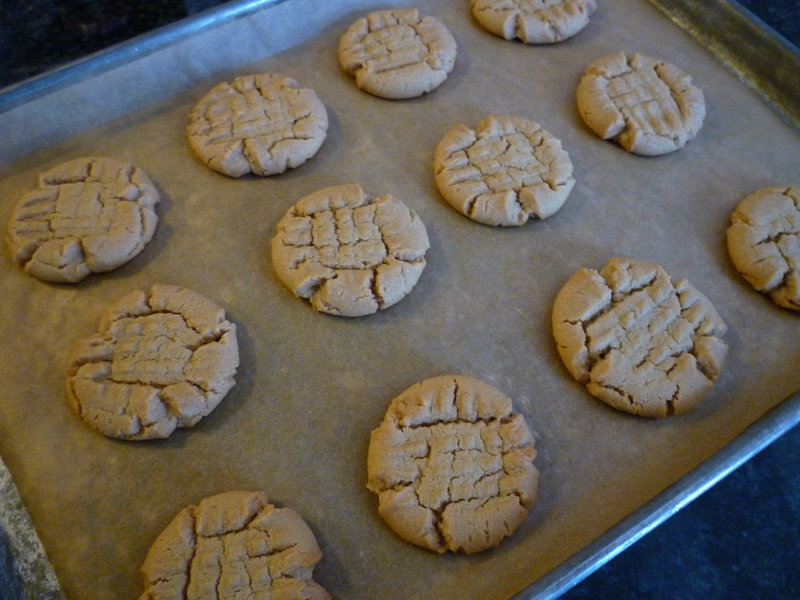 Last month I shared a different peanut butter cookie recipe with you … it too is good … but this is the family favorite. Considering that this started as one piece of paper … I think it’s time to make a new copy! 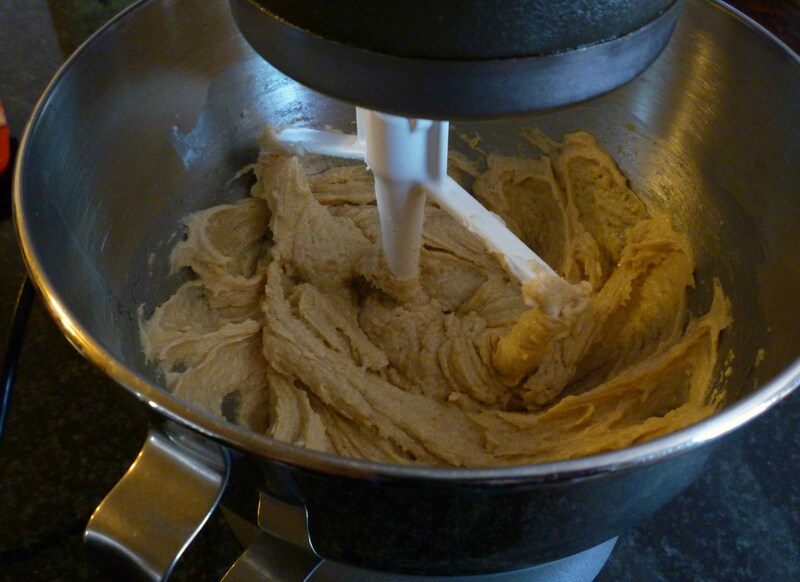 Cream shortening and sugars until very soft. Add vanilla and eggs, beat well. 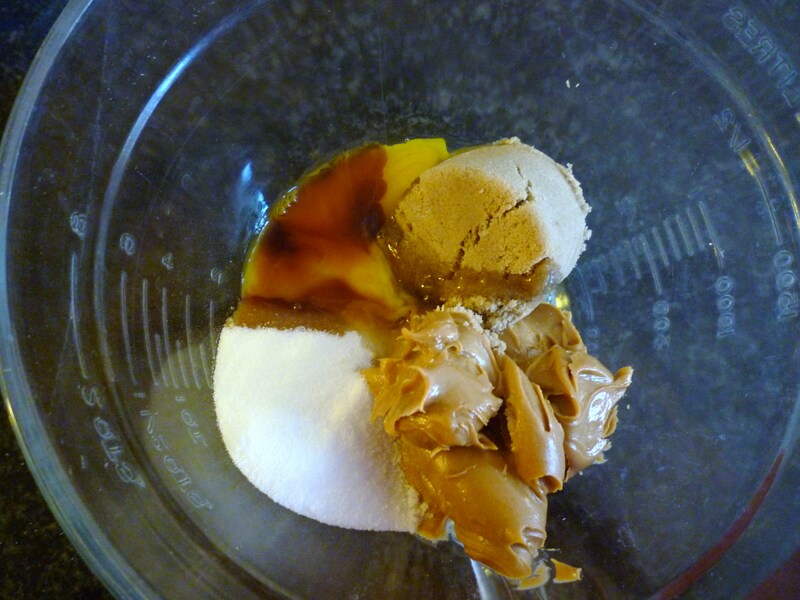 Add peanut butter and mix well. 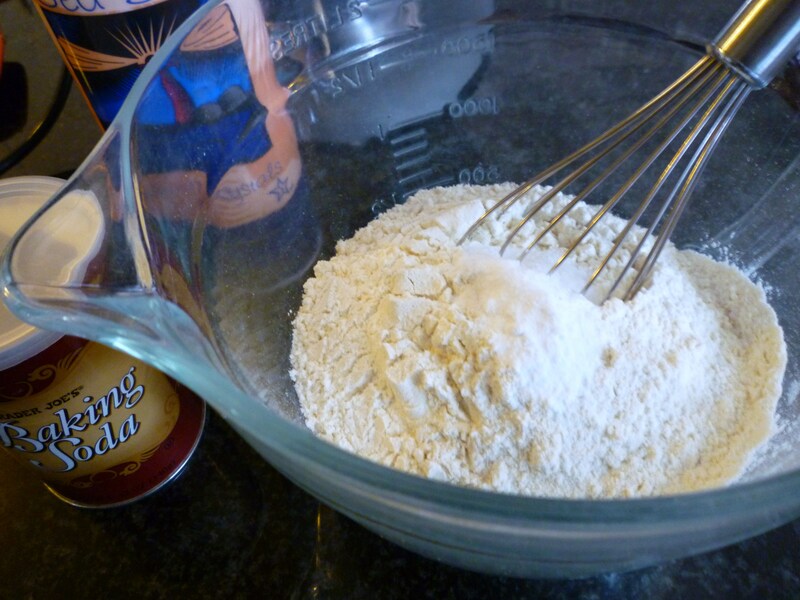 In a medium bowl whisk or sift together flour, baking soda and salt. 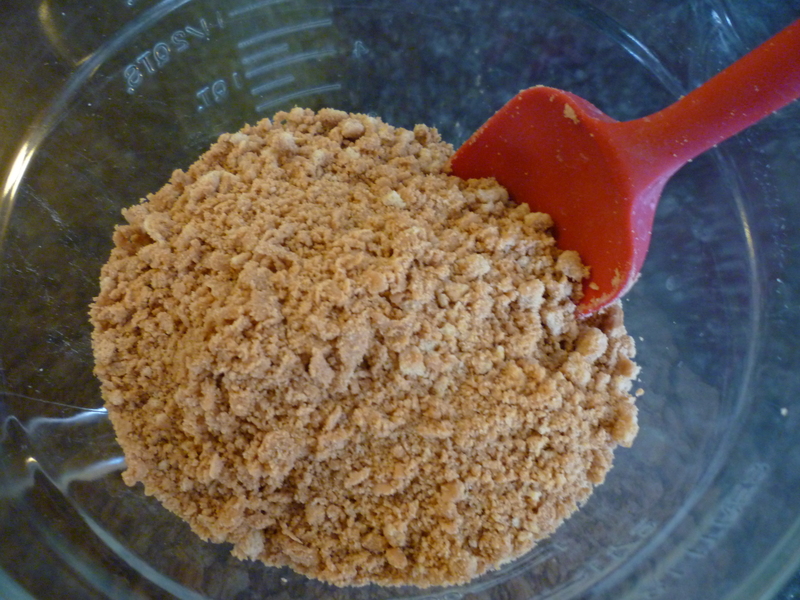 Add dry ingredients to wet mixture and mix until well blended. 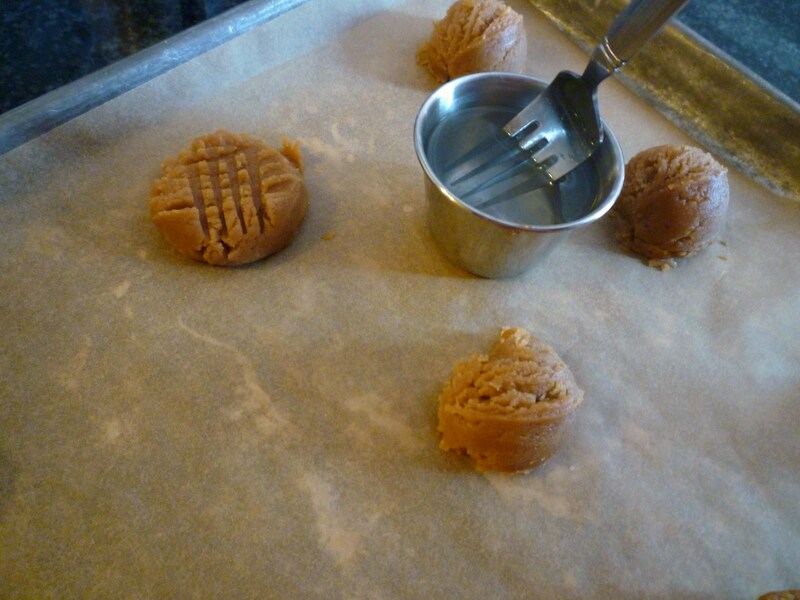 Roll dough into balls about the size of a walnut and place on a parchment lined or greased baking sheet. Using a fork dipped in water, slightly flatten dough ball in a criss-cross pattern. Bake at 350º for 11-13 minutes. 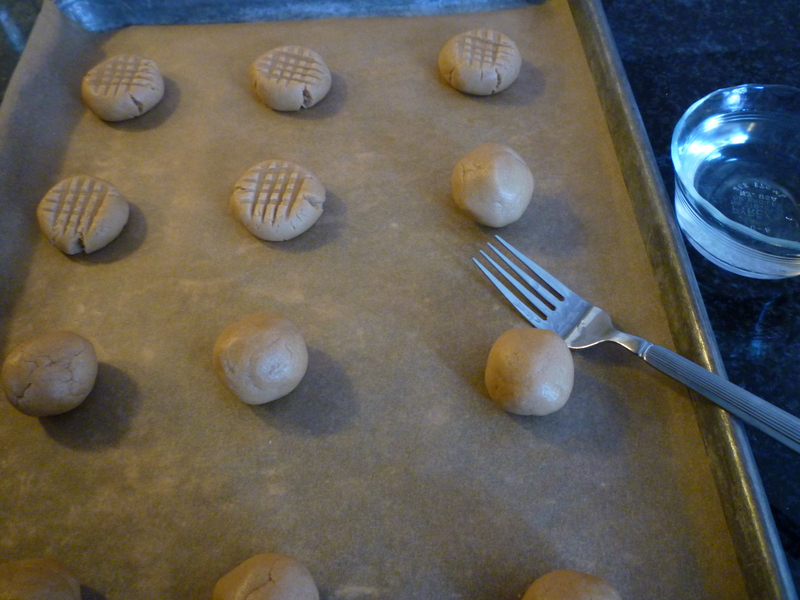 Let cookies set on baking sheet for a few minutes for a few minutes before removing to a cooling rack. Makes about 4 dozen. These cookies are so simple you may not believe it. First of all, I am not a recipe creator, but I do make changes to recipes. 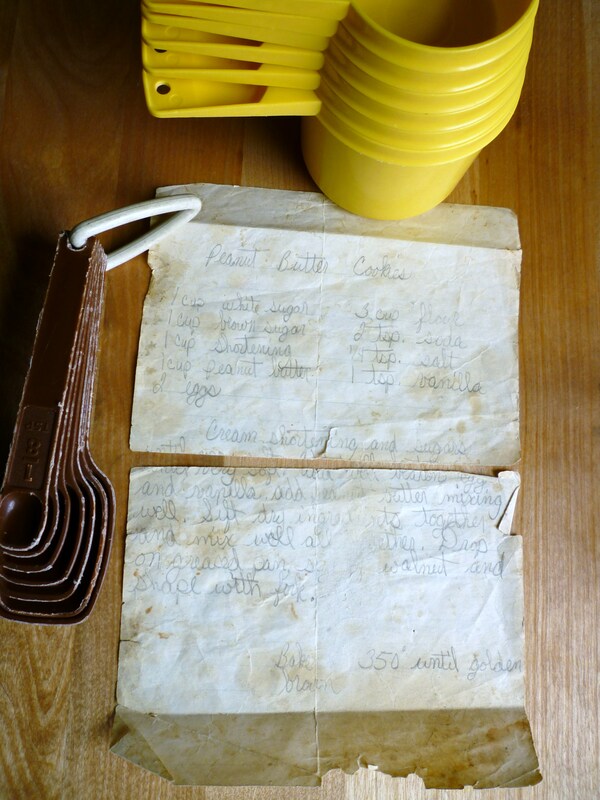 The original recipe was given to me many years ago and is so simple that I didn’t even have it written down. I will give you my recipe and the original. I have a friend who is trying to avoid gluten. I volunteered to bring a dessert, then thought “Oh no”. I know she loves peanut butter … never gets it at home because her family is crazy … how can you live without peanut butter? 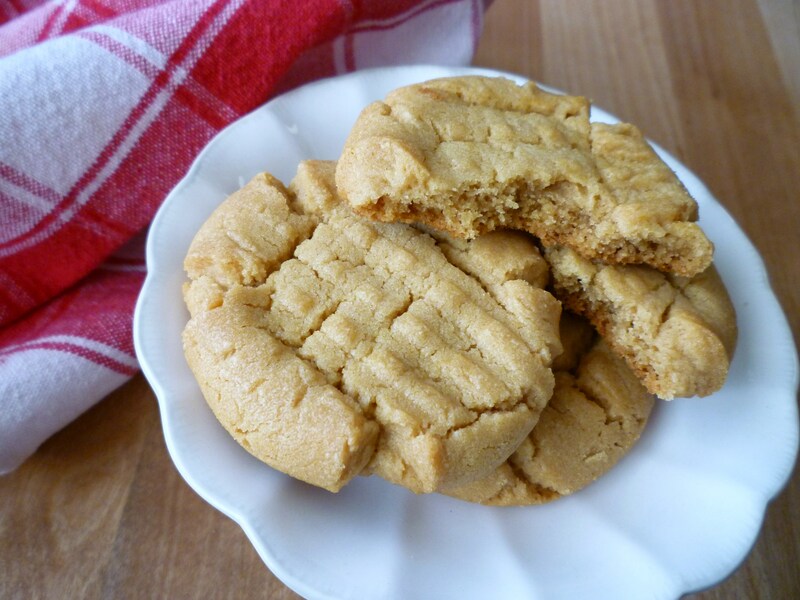 I was so relieved that I thought of this cookie … sooo simple, peanut butter and no flour! My friends were so surprised when I told them that this cookie has no flour. 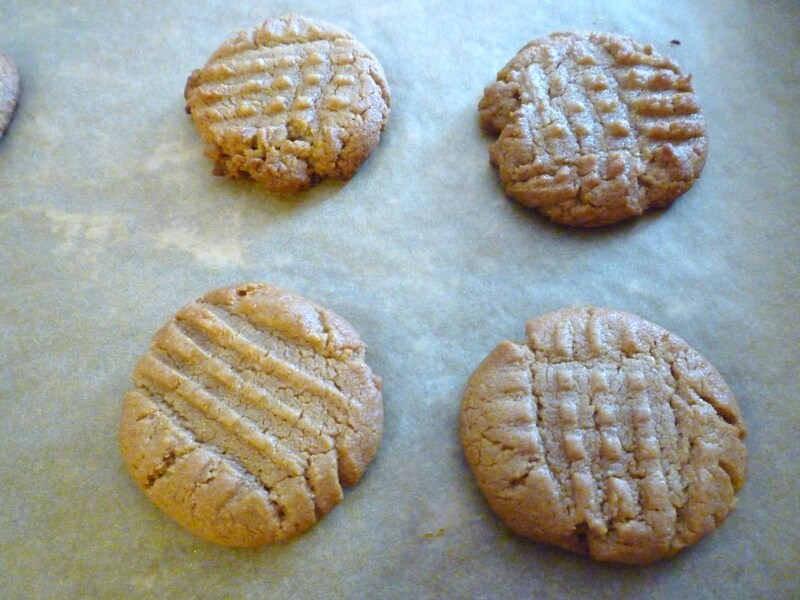 I know it’s hard to believe … a peanut butter cookie with no flour! Preheat oven to 375° and line baking sheets with parchment paper. 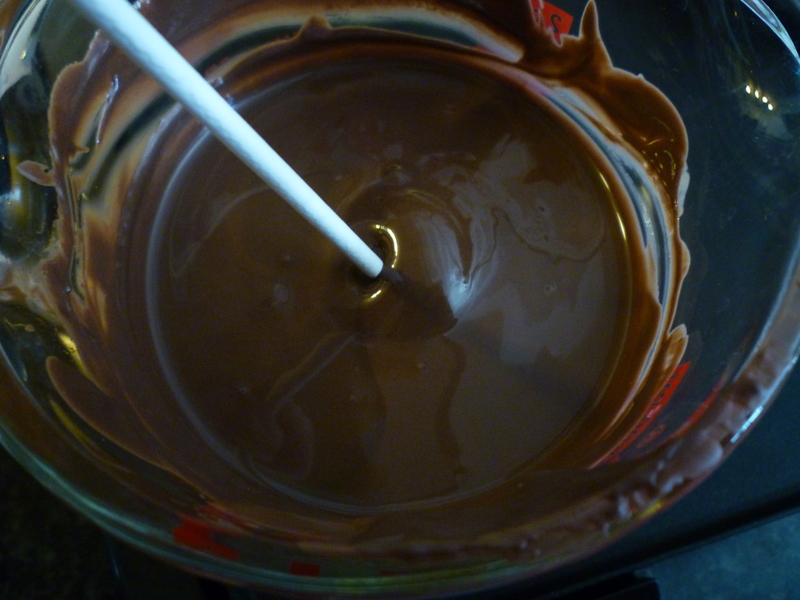 Put all ingredients in a medium mixing bowl. Beat until well blended. 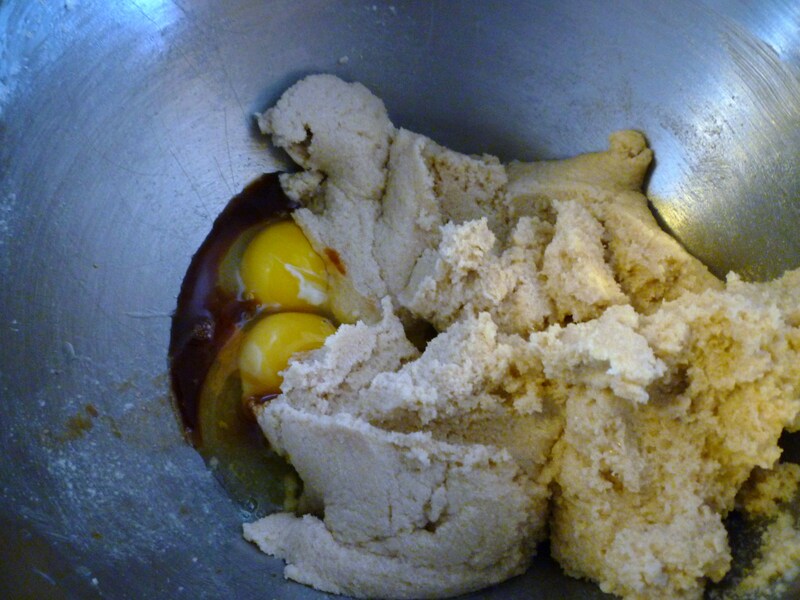 Scoop dough (about the size of a walnut) and roll into a ball (if desired) and place on prepared baking sheet. 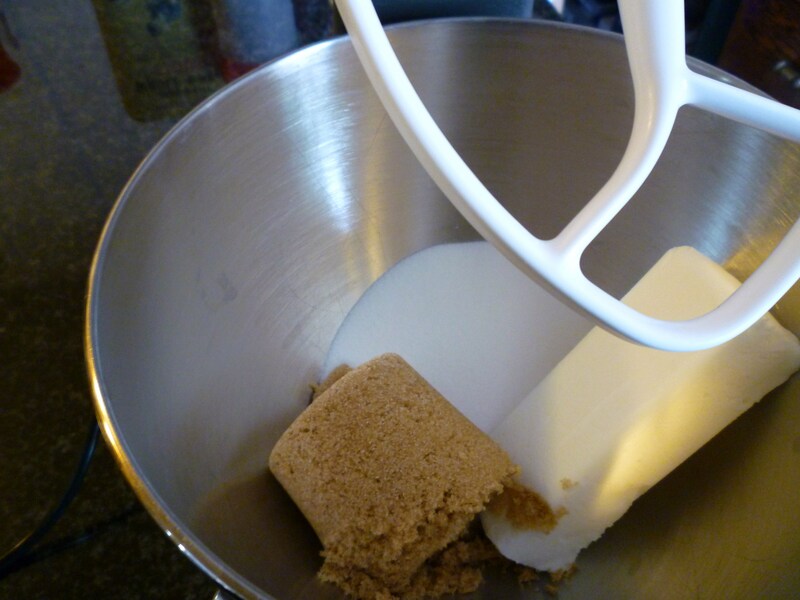 Flatten each cookie using a fork dipped in cold water (or sugar) making a criss-cross pattern. Bake at 375° for 10-12 minutes. Let cool on baking sheet for a few minutes before removing to a cooling rack. 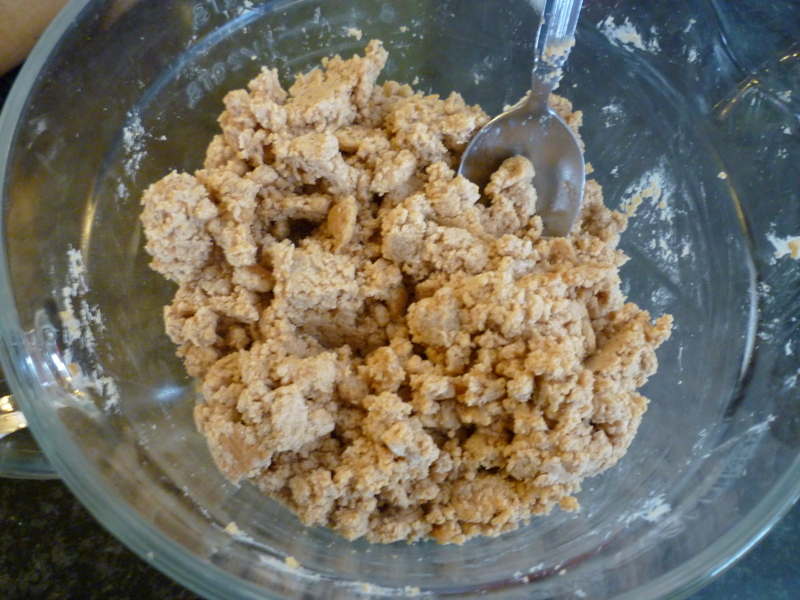 Makes about 18 (2 1/2″) cookies. 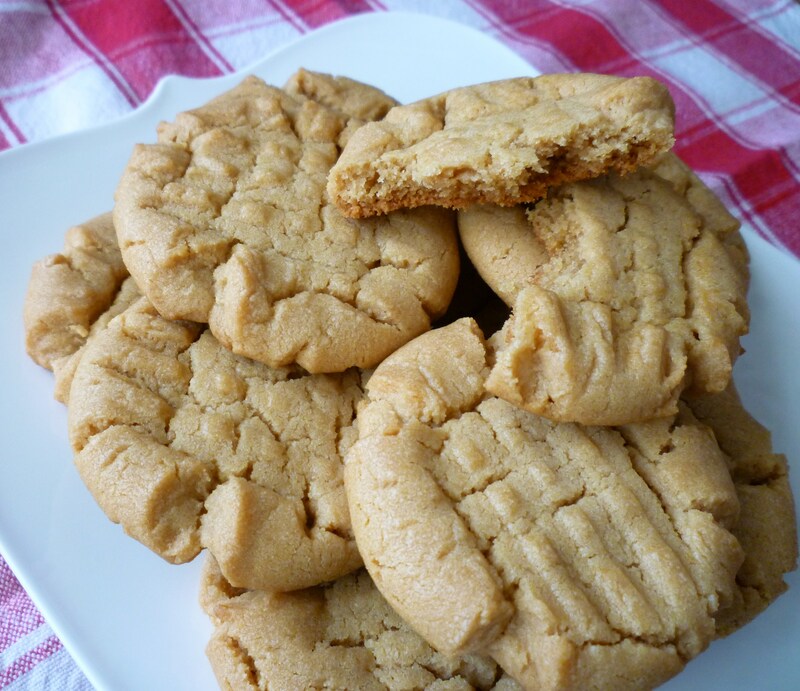 P. S. I used Skippy creamy peanut butter when I gave the cookies to friends. 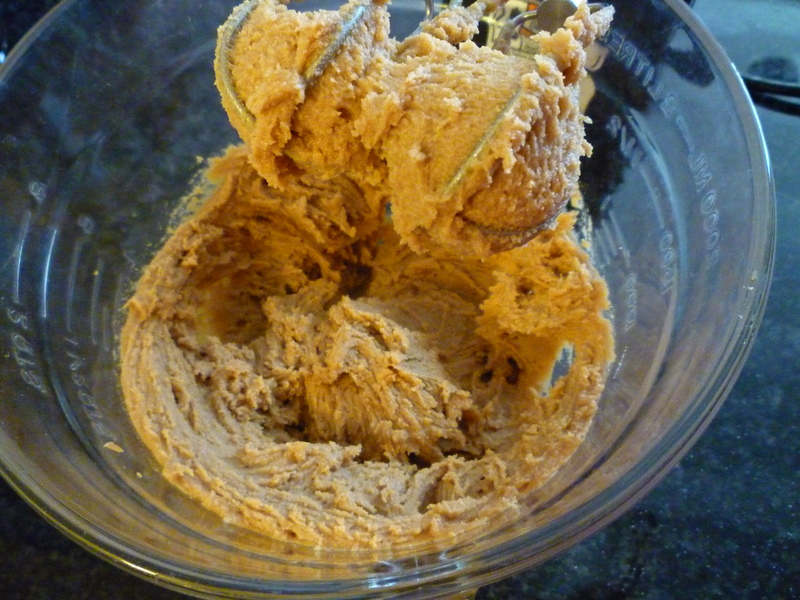 I tried natural peanut butter (no salt, no sugar, etc.) and it resulted in a different taste. 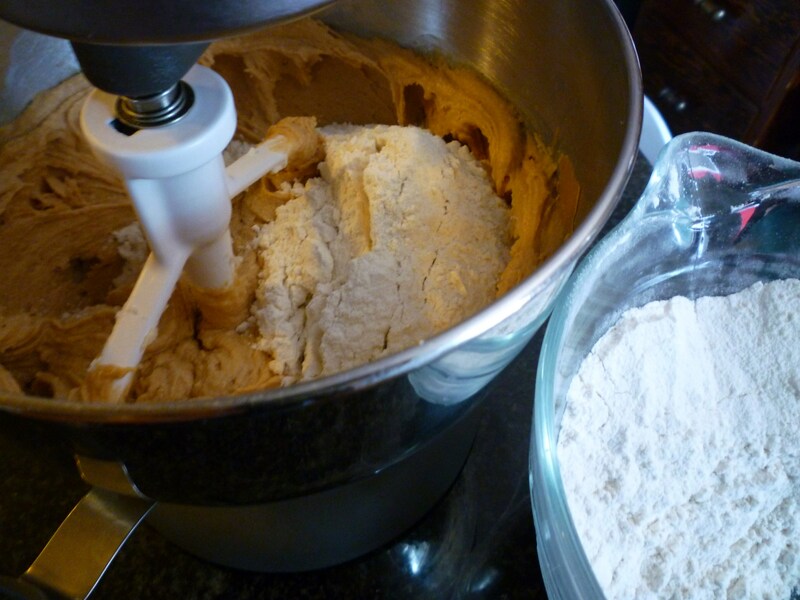 Original recipe calls for … 1 cup peanut butter, 1 cup granulated sugar and 1 egg. 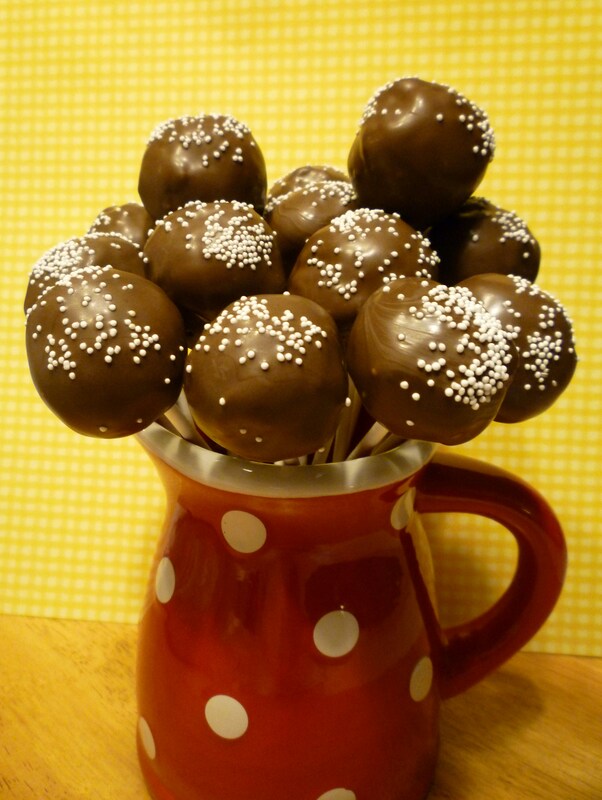 Cake Pops? … No, April Fools! 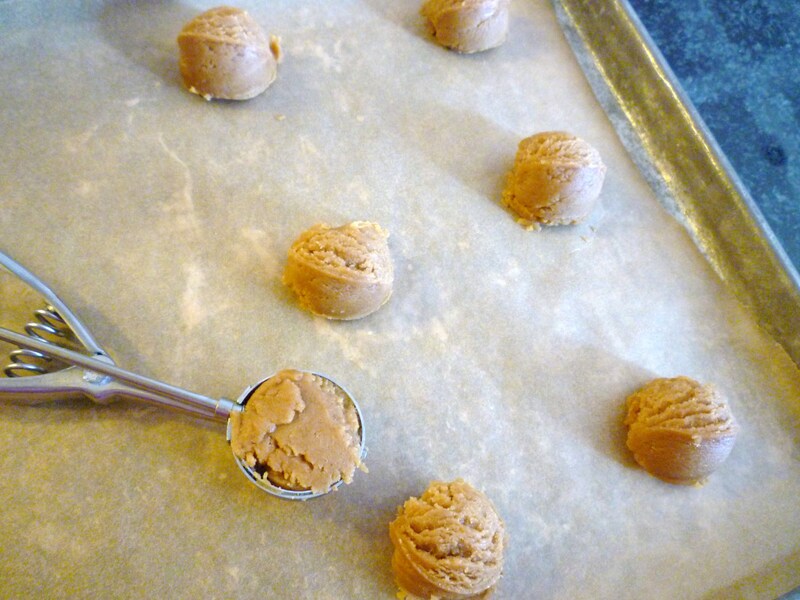 … COOKIE POPS – Peanut Butter & Chocolate!!! 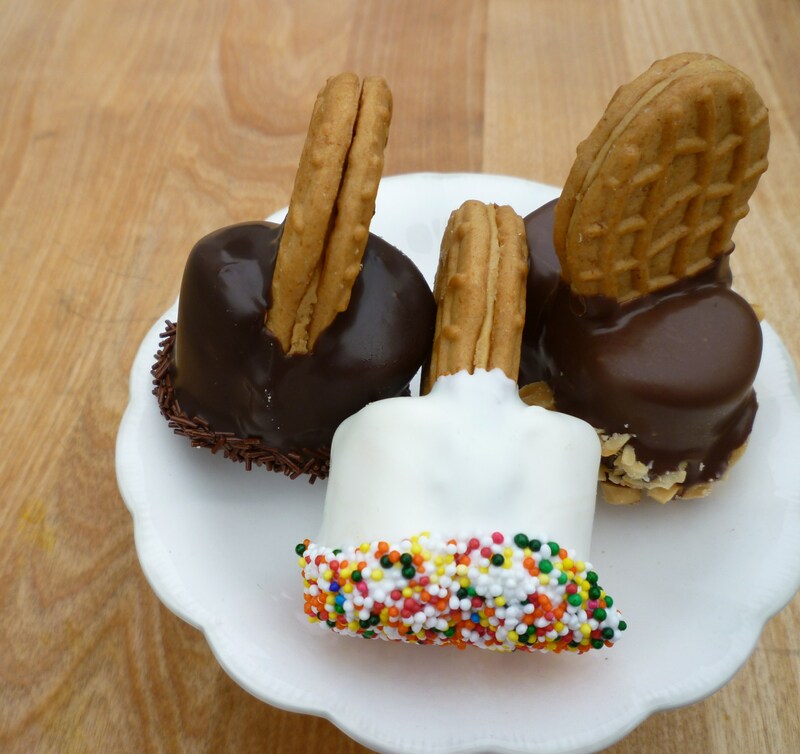 Cake pops are a wonderful thing, but have you ever tried cookie pops? 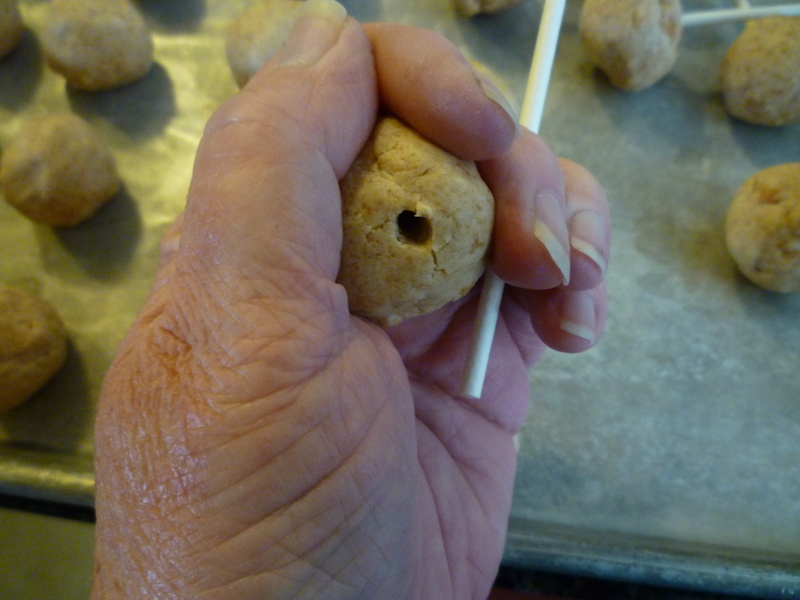 These cookie pops are so simple … no baking required! Yesterday I wanted to make something that didn’t requiring turning the oven on … it was over 90° here in southern California. 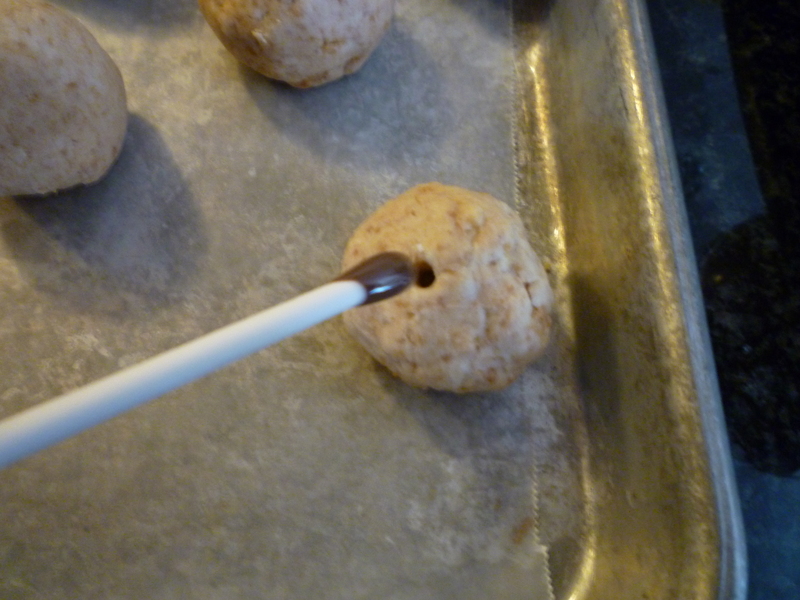 I decided to make cookie pops. 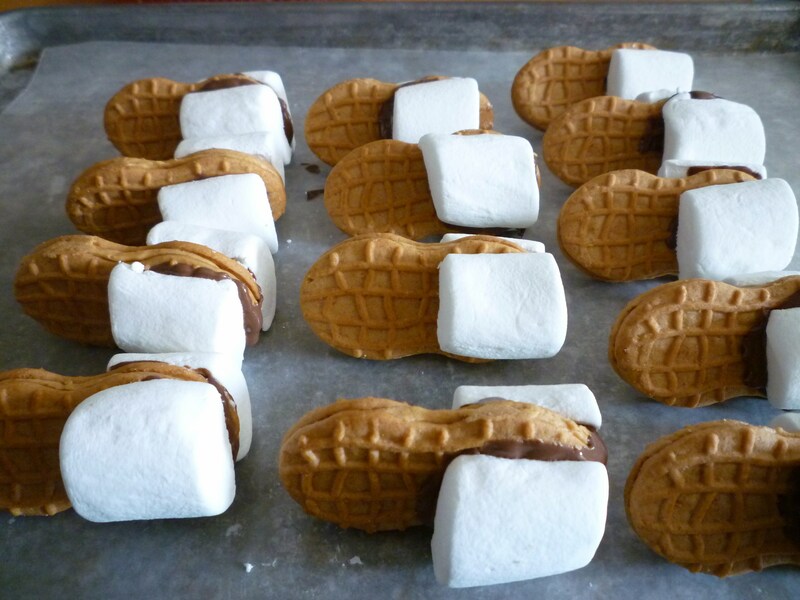 I had made similar ones in the past using cream cheese, but did not feel comfortable about leaving them out of the fridge … did I mention that it was over 90°? 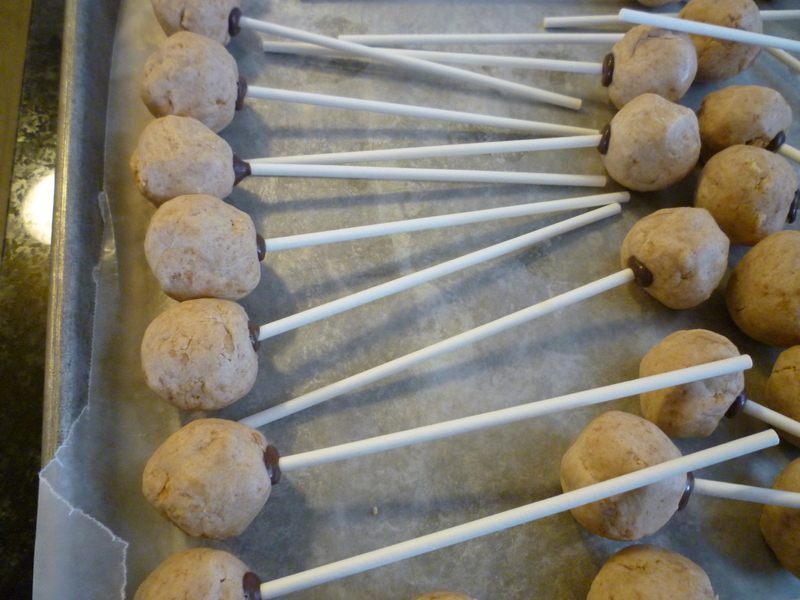 These cookie pops are made from cookies, therefore they are not as moist as a cake pop. 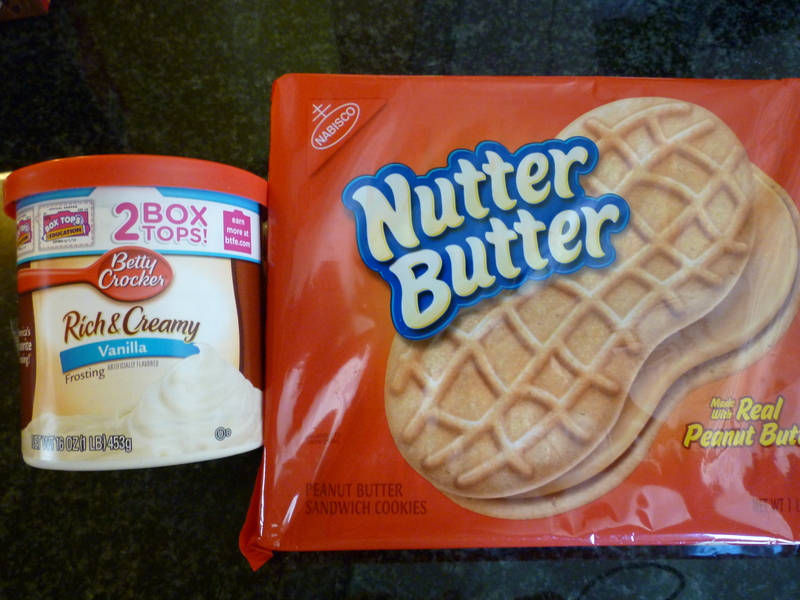 My husband, the peanut butter addict, thought that they were wonderful. Lollipop sticks, sprinkles (optional) and chocolate for dipping! 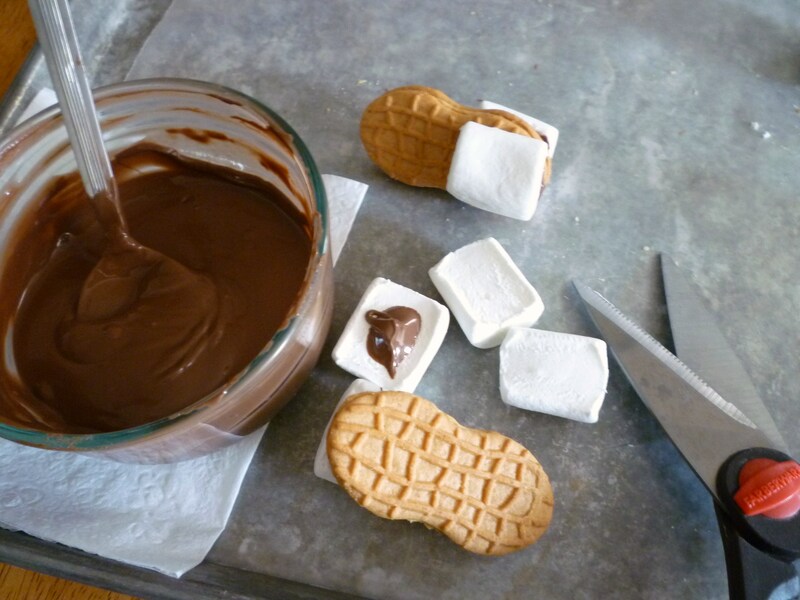 Prep a cookie sheet with waxed paper or parchment and melt about 1/2 cup of the chocolate. 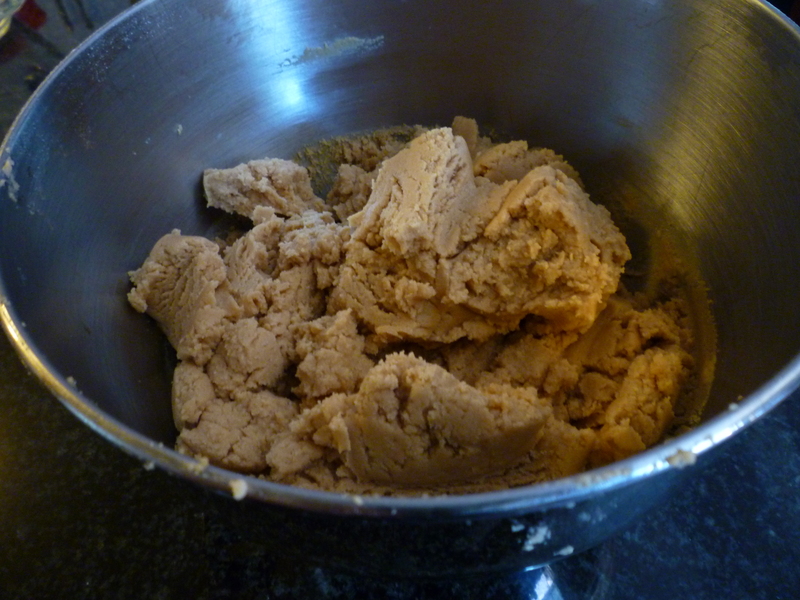 Roll the mixture into balls (3/4″ – 1″) … the mixture will be appear dry, but does firm up while you are working with it. 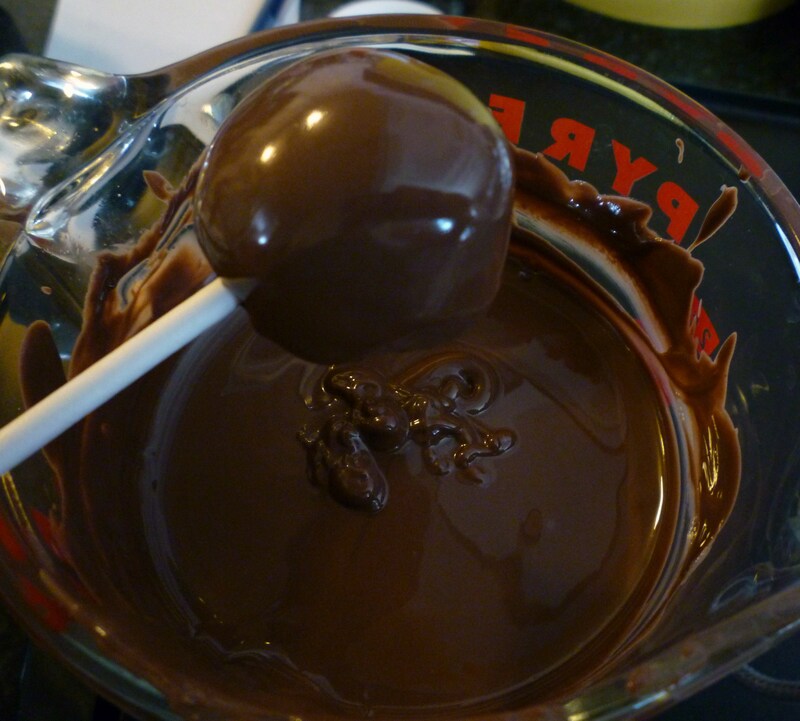 Use a lollipop stick to “drill” a hole about half way into the ball … then dip the stick into the melted chocolate and insert it into the ball … lay on cookie sheet. Put the tray of cookie pops in the fridge for 1 hour or until totally chilled. 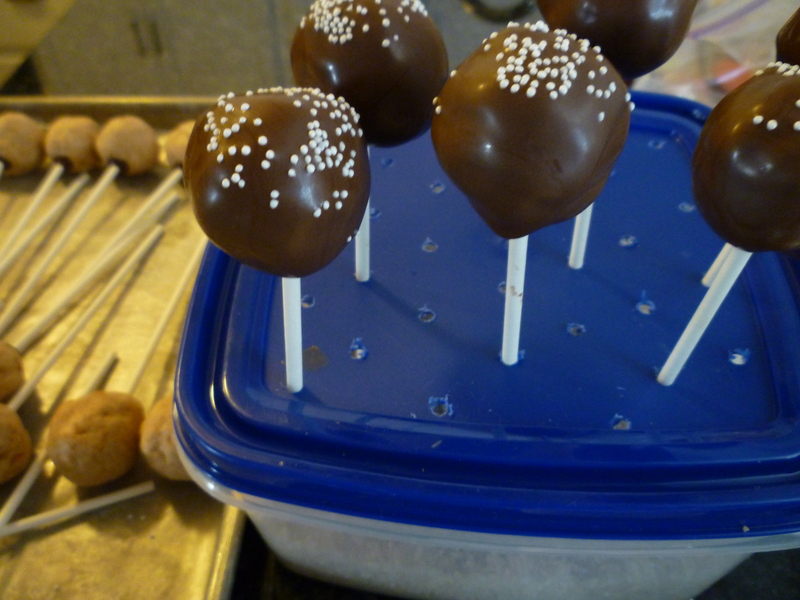 Prep a sucker stand (styrofoam) and chocolate for dipping … remove about 10 – 12 pops from fridge … start dipping making sure that you cover the entire ball all the way to the stick … tap off excess chocolate … add sprinkles (optional) and place in stand to dry!